Do + Little is a super clean new line of hair and body care products developed specifically for kids ages 3-10 (not babies). 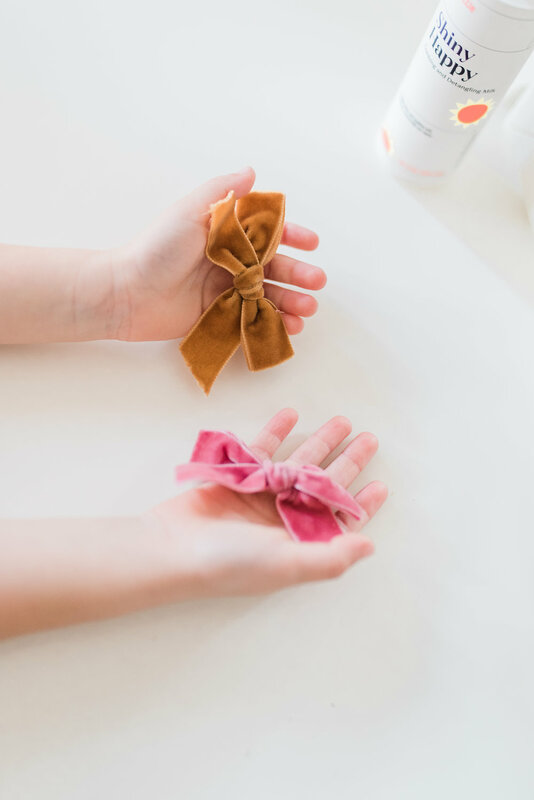 When creator, Regan Burns noticed a gap in the market between baby and adult personal care she decided to fill it with high-quality products tailored to kids' unique hair and skin needs. Their first product, Shiny Happy, is a leave-in combing and detangling milk that can be used on wet or dry hair (image below). 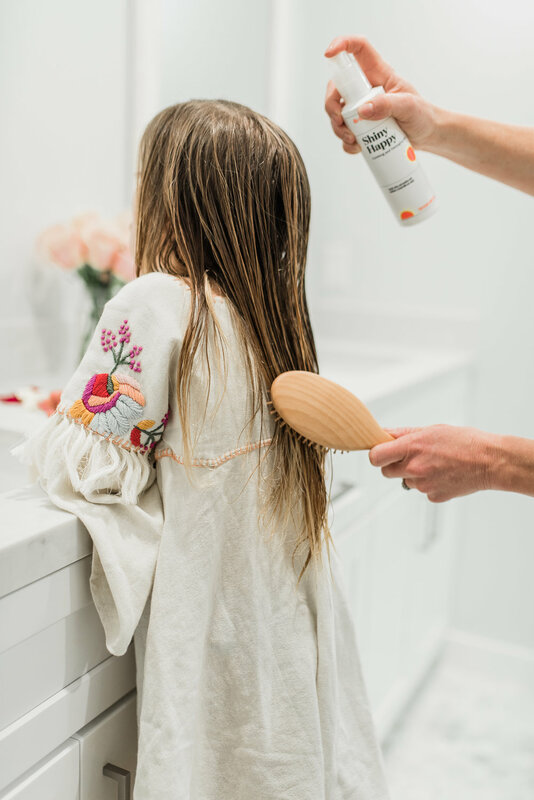 Much more than a regular detangler, Shiny Happy combines sunflower, jojoba, red algae and coconut with our signature Botani-Milk Complex (an emulsion of plant extracts and oils) for a silky, milky spray that refreshes, revives and protects delicate hair while also destroying tangles. Their leave-in hair product can be used on wet or dry hair, smells nice, and is safe. Do + Little has launched with one awesome, versatile hair product and has more products coming soon. We can't wait to see what they have in store!